Motivated sellers are showing properties over Thanksgiving weekend. 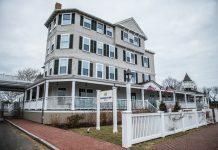 If you are a looking to complete a deal prior to the end of the year, or are simply interested in checking out inventory available in the Martha’s Vineyard real estate market, this is a great opportunity to do just that. From Wednesday through Saturday, explore available Island real estate and meet some of the Island’s local agents! 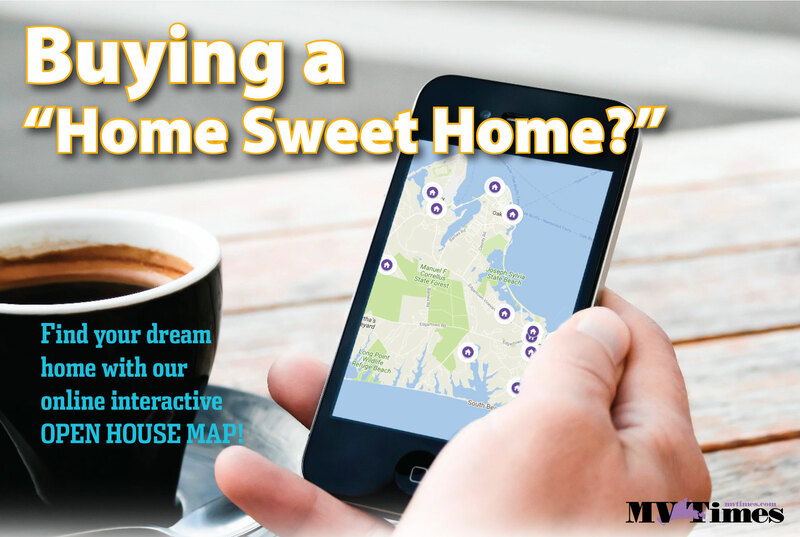 Hope you enjoy our interactive Martha’s Vineyard Open House map, as well as our listed schedule by date below. 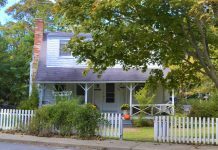 Large House & Guest house within walking distance to town | From Upper Main Street turn LEFT onto Curtis Lane, the house is towards the end. $1,849,000. For more information, please call (508) 627-9201. 3 Bedrooms with the potential for a 4th or a garage with a finished apartment above | From Franklin Ave turn LEFT onto Tashmoo Ave. go all the way to the end of the paved road. House is the last one on the left. $875,000. For more information, please call (508) 627-9201. Boldwater. Off the West Tisbury Road, turn onto Pohogonot and bear left at the split. Stay left on the dirt road. the approach to the property is serene, surrounded by trees, woods, then you reach #6 and turn into the driveway, through the gate and follow to the circle in front of the house. To your right is a two-car garage with it’s own parking area and a lovely private apartment above. $9,900,000. For more information, please call (508) 627-9201. Thursday, November 25 ~ Happy Thanksgiving !!! Features include, 3 bedrooms, 2 baths, fireplace in l.r. w/ 11’ cathedral ceiling, all hardwood, ceramic tile floors, gas heat and A/C, custom cabinets, three season porch, sod lawn w irrigation on almost an acre. Beautiful! Link Exc. 32110 $800,000. If you miss the open house, easy to show, call us! KATAMA and the living is easy with an enclosed heated in-ground pool and beautifully landscaped yard | Herring Creek Road, right on to Slough Cove, right onto Plains Head Lane, left onto Thaxter Lane #17 will be on the left. $2.295,000. For more information, please call (508) 627-9201. NEW CONSTRUCTION – Stroll to Vineyard Haven Village, Lagoon, restaurants, galleries and ferry ports 3 Bedroom, 3.5 Bath OPEN CONCEPT with gas fireplace. Directions: Edgartown Vineyard Haven Road, look for balloons and signs Border Road. REDUCED PRICE, NOW $794,900. For more information, please call Rene’ Bendavid (508) 847-4864. Two handsome homes on 4.5 sunny acres bordering conservation. Discover the unique versatality of this lovely property with 10 bedrooms, 6+ baths on a quiet country lane. $1.89m. DIRECTIONS to 27 Hewing Field: 1.3 miles up Middle Road. Left at balloons. 4th drive on right. 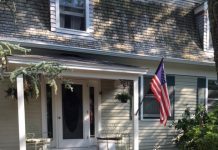 Oak Bluffs: Meadow View Farms offering 3 bedrooms 2. 5 bathrooms over 3/4 of an acre, level landscaped, with acres of abutting conservation land. Large relaxing 3 season porch, den/study, upgraded kitchen, private dining room with bay window, spacious living room, another den that could be easily used for bedroom overflow, half bath and laundry. Wonderful detached 2-car garage. $779,000. For more information, please call Marilyn Moses (617) 462-0381. Across from the WT Fire Station | A beautiful restoration project with 4 bedrooms | Coming from Edgartown, Oak Bluffs, or Vineyard Haven head for Edgartown / West Tisbury Rd. Go past the Airport heading towards Chilmark. About 4 miles from the airport is the old West Tisbury Firestation on the right. #556 is on the Left. $715,000. For more information, please call (508) 627-9201.